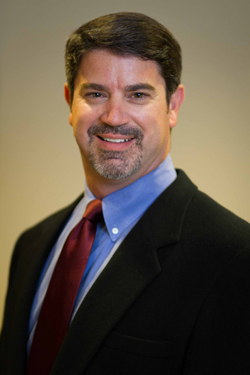 Dr. Clinton Ray is a board certified Orthopaedic Surgeon with over 12 years of experience with multiple types of orthopaedic injuries and illnesses. Dr. Ray graduated from Gadsden High School with honors and went on to attend University of Alabama for undergraduate and Medical School. Dr. Ray completed his residency at the prestigious University of Tennessee-Campbell Clinic. He also completed a hand surgeon specialty fellowship in 2001. He later went on to get his sub-specialty in Sports Medicine. Currently, Dr. Ray is the only fellowship trained hand surgeon with Sports Medicine sub-specialty in northeast Alabama. He sees a wide variety of orthopaedic injuries as well as age-related illnesses. Dr. Ray works with nine local schools, of which he is the team doctor for Donoho School, Oxford High School and Faith Christian School. Dr. Ray is dedicated to helping our young athletes get back to play in the safest manner possible.